The 33x12ft 2013 model deluxe plus graded 2 bedrooms, 2 bathrooms (en-suit) 6 berth holiday home is located on the Rose Bank area of the Primrose Valley resort, ideally situated just off the main road, just a short walk to the coastline and under 10 minutes’ walk to the complex. On arrival we were very pleasantly surprised, it was beautiful! So clean an tidy and just as it said in the description. We were so happy with what we found that we are booking through this group again next year. This caravan was situated in a good area. It was also clean and tidy on the whole. We thoroughly enjoyed our stay and will definately be returning for another holiday. On returning home and telling our daughter about it she promptly booked a weeks holiday. What a find! so so happy with our holiday to mark our little ones 3rd birthday. the 13 year old thought it was pretty cool too! 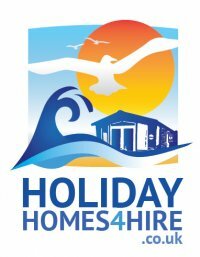 Booking and payment was easy, I would book all my holidays through Andy - he was so helpful and on the end of the phone throughout our stay should we have needed him (we didn't as everything was great) Absolutely spotless, spacious and modern van. really comfy beds although pillows could do with being more firm/substantial - maybe just our preference so take your own! everything you could need for a weekend away or a week or two. really cracking location and not hemmed in by lots of others. sofas are not the comfiest however which van sofas are? and with so much to see and do you really don't need to be sat about in the living room! thank you so very much for a cracker of a holiday - we will definitely be back. Nice clean caravan in a good location, nice stroll to the entertainment complex, booked two caravans with Andy and would definitely recommend. Had a great time and the van was very comfortable especially the bed aah . Lovely rest. Caravan was great couldn't fault it . Had a great time . Only thing that was missing was an iron . Great communication from owners and lovely clean caravan .. really enjoyed our stay and we would use again .. The caravan was lovely and clean and in nice location on the park.The only thing that i struggled with was the bed couldhave done with a king size duvet 0n it but it was comfortable.Andy was great and i would book with him again.